The idea of the custom foldable rigid gift box came from the desire to help executive assistants. Executive assistants were looking for attractive foldable bags, but the options were few and far between. Now there is a great option out there called the CustomPrintbox. CustomPrintbox is the self-proclaimed master in manufacturing elegantly styled laminated custom foldable rigid gift boxes. If you don’t know what a foldable rigid box is, let me explain. Basically if you are a executive assistant or run any type of business sometimes you want to deliver packages to your client in something other than a used Amazon box. – Rigid material box construction. – Duplex board with 2mm coating. 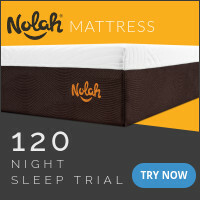 – Boxes are printed in 1-7 colors. – Box logo can also be made embossed, spot UV, printing surface over laminated and hot foil stamped to give an excellent texture to your boxes. – Soft-touch film application is available as well. There are no setup charges, the extra cost is waived off. Moreover, there is no minimum order limit. If you are in the market for a brandable, customizable folding box consider CustomPrintbox. 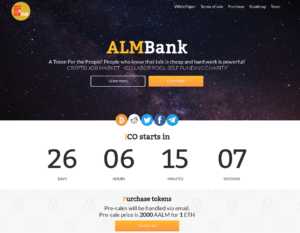 ALMBank is a platform designed for people to help others. It’s like GoFundMe, but you can pay for good deeds in forms other than just cash. As far as I know ALMBank is the first or one of the first crypto community based work/marketplace helping people find meaningful jobs and fostering charity at the same time. Visit https://almbank.io/ for more information. ALMBank is attempting to break the current charity paradigm and merge a profit/non profit self funding business model that pays people to create a self-funding charitable economy. – Job market using crypto currency. King of like Upwork mixed with LinkedIn. Users will pay freelancers in digital currency. – Hire freelancers at reasonable rates. – Users can submit charitable projects to the platform that are paid for by their for-profit, self-funding charitable system. – Users can submit projects that will be voted on by the ALMBank crypto community. – Charity will support one dream project per year with charity funds. So many options to choose from. Unlike anything I’ve seen before. To start you must first purchase ALMBank tokens in the “Purchase Tokens” section of the web site. To register pre-launch one can preregister by e-mailing presale@almbank.io. 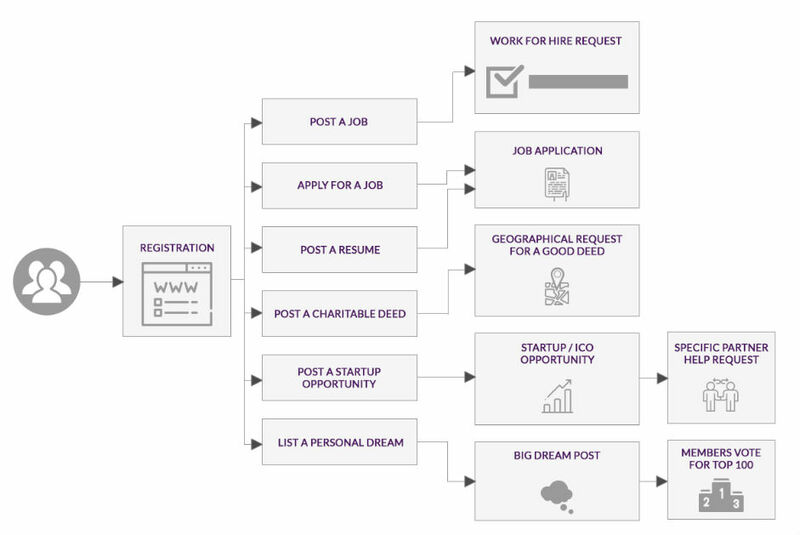 After registering you will be able to post jobs, resumes, charitable requests and more when they go live. Users must first have a Ethereum-based wallet before purchasing tokens. 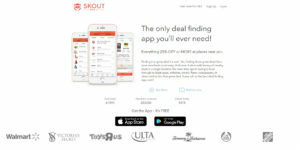 Rollout of the mobile app is starting right now, site should be full featured very soon. Have you ever needed help choosing foods and activities that will best support your health and well-being? 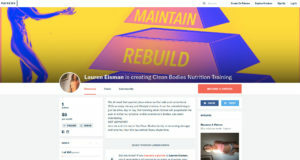 Lauren Eisman is doing this with the Clean Bodies Nutrition Training program and urgently needs your support on Patreon. Visit https://www.patreon.com/CleanBodies to support campaign and find out more information on her inspiring mission. The program is called the Clean Bodies Nutrition Training program. The program promises users that they will become stronger and smarter everyday. The current obesity rate in the United States is about 36.5% according to the CDC. This information is a little misleading because if you factor in what percentage of Americans who are overweight and obese that number jumps to 70.2% (https://www.niddk.nih.gov/health-information/health-statistics/overweight-obesity). That’s an insane statistics and one that we as a country should be ashamed of. Good news there’s hope and programs/teachers like Lauren Eisman can help. We need more people like Lauren Eisman teaching us how to live a healthy and emotionally satisfying lives. 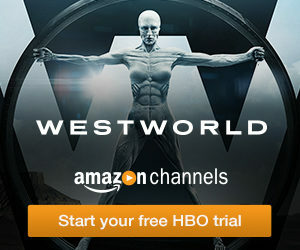 How Do I Know I Need This Program? If you don’t know if you need this program or not ask yourself the following question: Do you feel low energy all the time? If the answer is yes, I’d suggest first following Lauren Eisman on YouTube and contributing on Patreon. First step to getting your energy back is cleansing your body and second is to rebuild your health and immune system. Sounds Interesting… What Do I Get For Contributing? There are many bonuses for those that give to Eisman’s Patreon campaign. 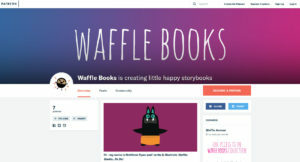 $5 or more per month you get Patreon only content, connect with other Patrons, and monthly Q and A. $10/month gives you access to private live streams from Lauren herself! Also, all previous rewards plus ‘Clean Bodies Guide To A Lean & Clean Body’ (16 pages) and progress videos. The ultimate goal of the campaign is to get 100 per month giving to the Patreon campaign. Join Lauren Eisman and the rest of the Clean Bodies family in becoming stronger and smarter, than the day before! Every single time.